We are one of the noted manufacturers of a quality range of Wood Shredders that is known for its high performance, superior finish and perfect polish. These are designed using high quality raw material and are tested to ensure their flawlessness. In addition to this, these are properly packed and timely delivered to the client’s end. 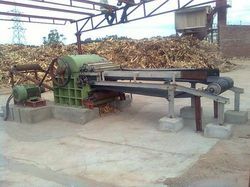 The chipper can chip soft and medium hard woods, green or seasoned. It is designed for Self feeding by gravitational type. It consists of rotor disc in which the cutter knives are counter-sunk, so that the stress of chipping is absorbed by entire back side of knife. The fan may be built in the Chipper's disc so that the chipped material can be thrown out in any desired direction as the discharge chute can rotates 360°. The shredding takes place between the set of serially arranged comb shaped alloy steel cutters mounted on the shredding rotor and opposing fixed counter comb cutters. 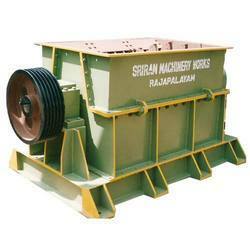 The Discharge Grate or Screen may be fixed at the bottom half of Shredder for getting desired output sizes.